The Ambanis and the Piramals are hosting the pre-wedding festivities of Isha and Anand in Udaipur on December 8 and 9, and kicked off the celebrations in a rather unique way. The country is all set to witness another lavish high-profile wedding before the year ends. 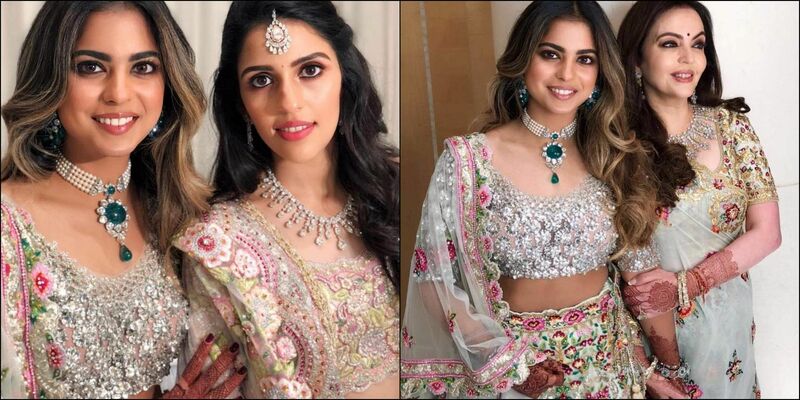 Isha Ambani, the daughter of India's richest man Mukesh Ambani, will marry Piramal scion Anand on December 12. The family has organised a special 'Anna Seva' in Udaipur in which 5,100 people, majority of them with special abilities, will be served food three times a day from December 7-10, read a statement released by a family representative on Friday. 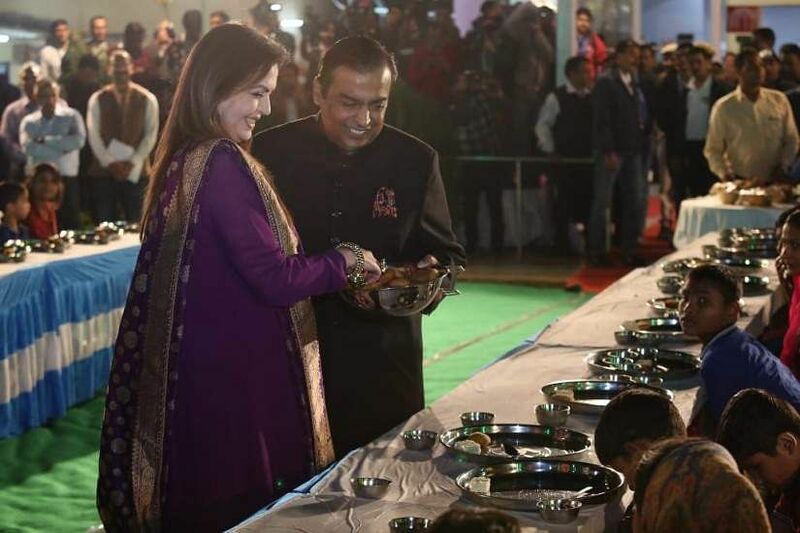 Mukesh Ambani and his wife Nita, and Ajay Piramal and his wife Swati, along with Isha and Anand were present at the Anna Seva function, serving and interacting with the people, at the Narayan Seva Sansthan, in Udaipur in Rajasthan on Friday night. The pre-wedding festivities also include setting up of a specially curated exhibit called the Swadesh Bazaar that will showcase 108 traditional art and crafts from across India. Three days of song and dance as part of the pre-wedding mehendi and sangeet rituals are also lined up for the weekend. 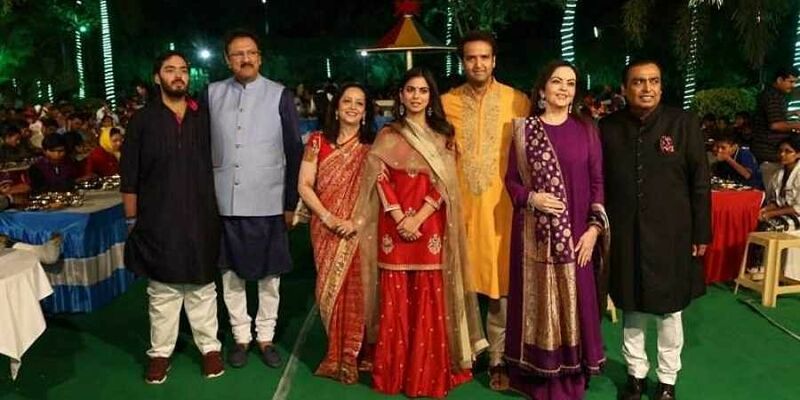 As announced in late October, Isha and Anand, both scions of the Ambani and Piramal business families respectively, shall wed as per Indian traditions, customs and culture at the Mumbai residence of the Ambani family. Bollywood celebrities like actor Anil Kapoor and his wife Sunita Kapoor, filmmaker David Dhawan, fashion designer Manish Malhotra and newlyweds Priyanka Chopra and Nick Jonas, have started arriving in Udaipur today. More than 100 chartered flights are landing in Udaipur's airport, a sourced told Reuters. Since visitors are flying in from abroad, customs and immigration counters have been set up at the airport, the source added. 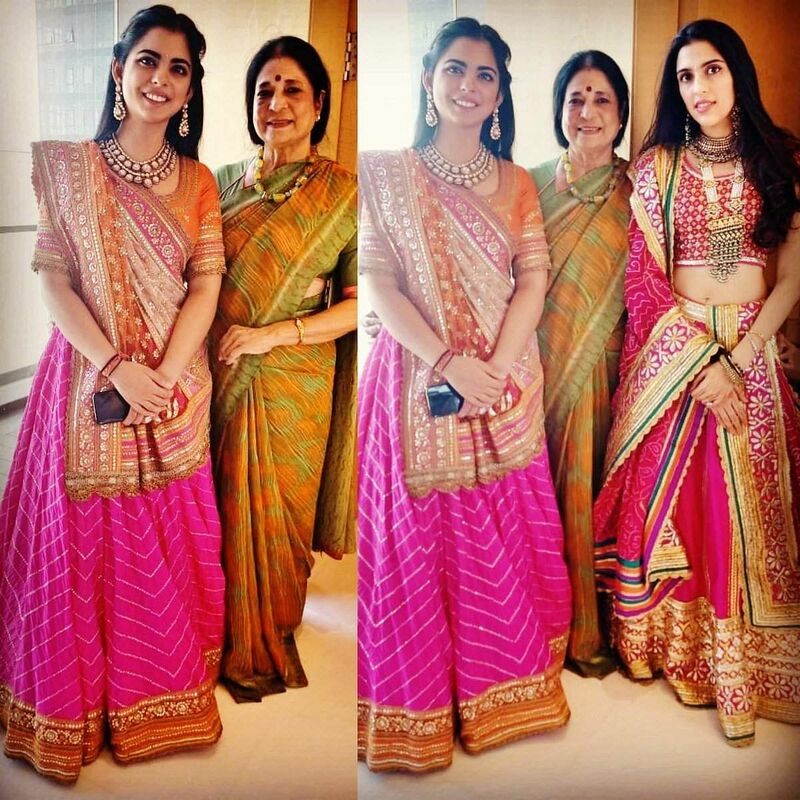 Manish Malhotra was the first to put up a photo with the Ambanis on Instagram. Social media pictures showed the venues in Udaipur, the Oberoi Udai Vilas and City Palace, all decked up. Media reports said that guests can use an app which have mapped out the various wedding activities. Global icon Beyonce is expected to perform at the wedding next week in Mumbai, as well as newly married Priyanka Chopra. 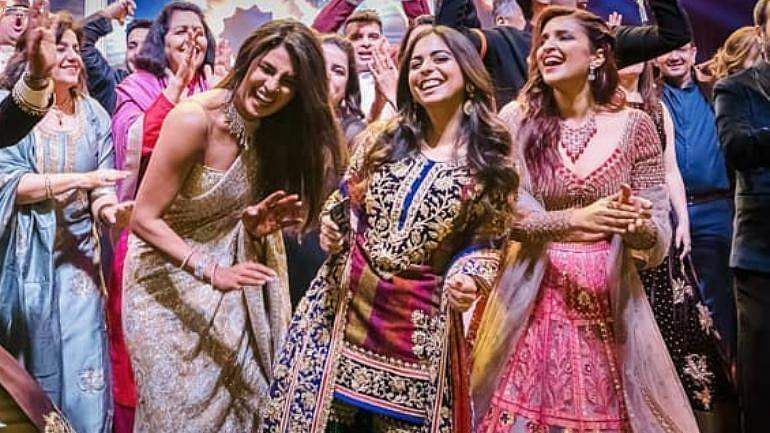 PC was seen dancing with Isha, her close friend at the former's sangeet in Jodhpur last week. Former US Secretaries of State Hilary Clinton and John Kerry are rumoured to be on the guest list. The names of music maestro AR Rahman and singer Arijit Singh are also doing the rounds. Celebrity photographer Joseph Radhik is the official lensman for this wedding. He earlier shot beautiful photos at the weddings of Samantha-Nag Chaitanya, Anushka Sharma-Virat Kohli, Priyanka Chopra and Nick Jonas. Isha Ambani got engaged to Anand Piramal in September at Lake Como in Italy in a three-day-long affair which was attended by several Bollywood stars. Earlier this year, Anand had proposed to Isha at a temple in Mahabaleshwar. In May, the Ambanis hosted a pre-wedding ritual, Ghor Dana, for the couple at their residence Antilia. Isha and Anand have been long-time friends and the families have known each other for over four decades. Anand holds a Masters in Business Administration degree from Harvard Business School. The 25-year-old is currently executive director at Piramal Group. He is also the founder of Piramal Realty, a real estate company, and Piramal Swasthya, a rural healthcare initiative which he founded with a vision to facilitate access to affordable healthcare for the common man. He also has the distinction of serving as the youngest president of the Indian Merchant Chamber — Youth Wing. Anand also holds a bachelor’s degree in economics from University of Pennsylvania. Piramal Realty is Anand’s second start-up, though both the firms he founded are now part of the $4 billion family-run Piramal Group. Isha is on the boards of Reliance Jio and Reliance Retail, and is credited with instilling a culture of youthful dynamism in the business. She holds a bachelor’s degree in psychology and South Asian studies from Yale University and will be completing her Masters in Business Administration programme from the Graduate School of Business, Stanford, by June. The wedding will bring together two of India's most influential families. As per Forbes Billionaires list 2018, Ajay Piramal, Anand's father, stands at No. 404. He was the 26th richest person in India according to Forbes India's Richest 2017 list. The Piramals are primarly in the pharmaceuticals and real estate business, and according to a media report, have given the couple a 50,000-sq-foot sea-facing house in Mumbai. Mukesh Ambani, father of Isha and the chairman of Reliance Industries has a net worth of around $47 billion, Forbes magazine says. According to a Finapp report, Isha Ambani has an estimated net worth of USD 115 million. In 2008, the Forbes list of The World’s Billionaire Heiresses (To Be) ranked Isha as number two on the list. 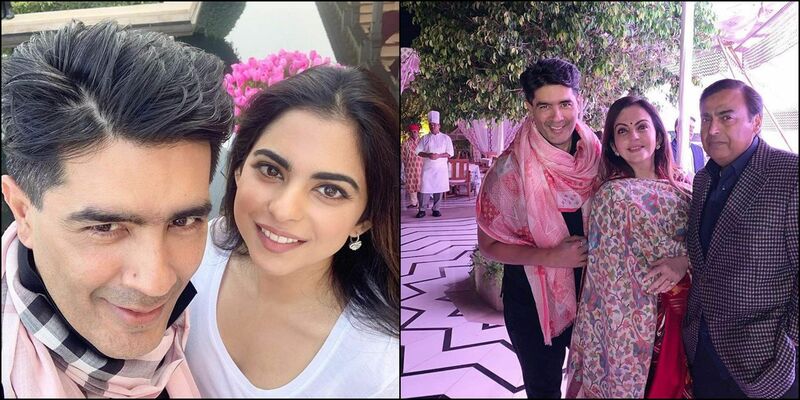 Earlier in June, Isha's twin brother Akash got engaged to Shloka Mehta in a star-studded bash in Mumbai. 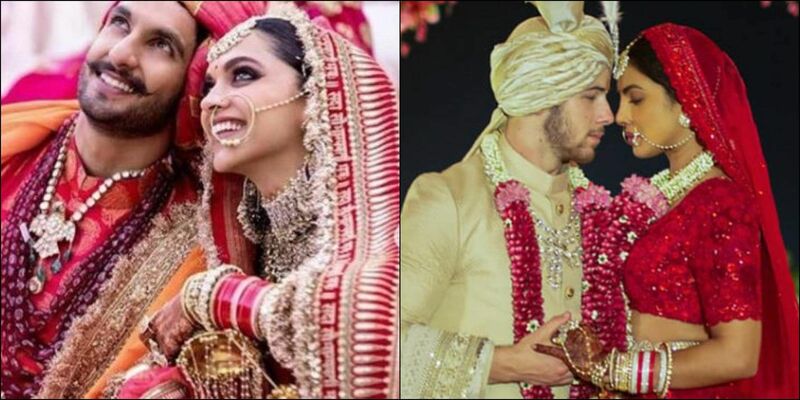 Last week, actress Priyanka Chopra and singer Nick Jonas had a two-day wedding in Jodhpur while Bollywood stars Deepika Padukone and Ranveer Singh tied the knot in Italy on November 14 and 15 and hosted three receptions in India. On left, DeepVeer and on right, Nickyanka.